I’ve just finished yet another fat book, this time Queens’ Play by Dorothy Dunnett (1964), the second in a series of six books telling the story of Francis Crawford of Lymond and published between 1961 and 1975. I was hooked. It is set against the Tudor world but seen from a Scottish point of view quite unfamiliar to me. 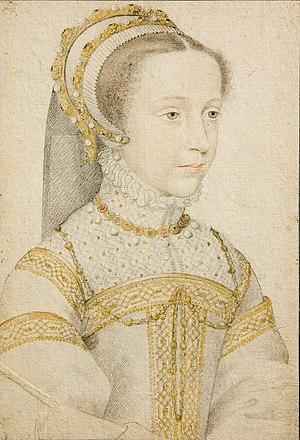 England and Scotland are both ruled by children – Edward VI and Mary Queen of Scots – with powerful nobles vying to control their respectives regencies. So there’s a whole host of historical detail to grapple with for one thing. For another, you don’t know whether Lymond is hero or villain, Robin Hood figure or terrorist.He’s an outlaw, on the run, accused of terrible crimes. His own brother is utterly determined to track him down and bring him to account for dishonouring the family name. And all the while there are all these dynasties to keep track of, shifting allegiances and political shinanigans. Yet once I got drawn into this world, got my ear in for the voices, I found it utterly compelling. There’s a sheer linguistic joy in these books, as they drip with quotations in English, Scots, Gaelic, Old French, Old Spanish – most of which go untranslated. Lymond is quick-witted and ready-tongued, his verbal dexterity hard to match. Beneath all the action and romance (more in the classical sense than the Mills & Boon one), there is also the human story of Lymond himself and his interactions with the people around him. How does all that charismatic brilliance affect the people he comes into contact with? How will his experiences shape what lies ahead? Who is the real man beneath the surface glitter? I suppose I could get the next book from the library, but somehow working through the series more slowly, depending on when I can borrow the next installment from MIL seems more in keeping with the epic nature of it all. And as and when I get to the next one, I’ll keep you posted. This entry was posted in Books, Reading, Reviews and tagged classics, Dorothy Dunnett, historical fiction, Lymond Chronicles, Mary Queen of Scots, reading, recent reads, recommendations, reviews. Bookmark the permalink. Wonderful review of my favourite author’s work. The child neglect gets worse, trust me! Thanks, Prue. I will try not to abandon them too often! I’ve read the Lymond series 3 times now, a 4th may be in order! You will love the rest of the series – happy reading! Make the most of any pause between books 2 and 3, because you’ll find it very hard to pause between books 3 and 4! nal book will take your breath away! Sadly, I do have to do other things with my time. 🙂 Will look forward to it though. Sorry to hear that you’re reading them out of order… DK and PiF are so essential to the Philippa/Lymond story line. But so glad to know you’ve discovered the best author ever! Each book builds upon the previous book and the last book is simply sumptuous and brings multiple threads together like a loom weaving the most complicated tapestry. Enjoy it and remember; this series is even better on 2nd or 3rd reading….and then there is Niccolo!!! Great to hear your blog stats are so high on this entry. You’ve just been Dunnett-bombed! I started reading this series back in 1974 while in college, and shared the books with my mother an all my friends. Had to wait for the final book to be released and even bought it as a hardcover (while still a starving student!) just so I could finish the series. I’ve probably read it 10 times or more and every time I do, I find something new that I missed before. There is a companion book to the series that translates all of the foreign languages. You should get it; it will help you get to the “real” Lymond. Buy the books. This won’t be the last time you’ll read them. I started this series when the first book was published and couldn’t wait for the next. Every tome a new book came out. I re-read all the previous books, so ultimately they fell apart and I could carry just a handful of pages at a time before I bought new copies! Even more fun is the single book about Macbeth, VERY different from Shakespeare’s version. I thoroughly enjoyed everyone’s comments on my all-time favorite series (I’ve finished the second reading). Loved Niccolò very much too. These books are a “must own,” so you can make notes in the end leaves, mark pages, follow themes. Can’t wait to read the review of the rest of the books in the series.